Easy meals are a must when the kids are home from school break. I’m usually exhausted between work and doing all the stuff they want to do, so when we sit down for a meal, I want it to be easy. I also want it to be delicious and healthy. 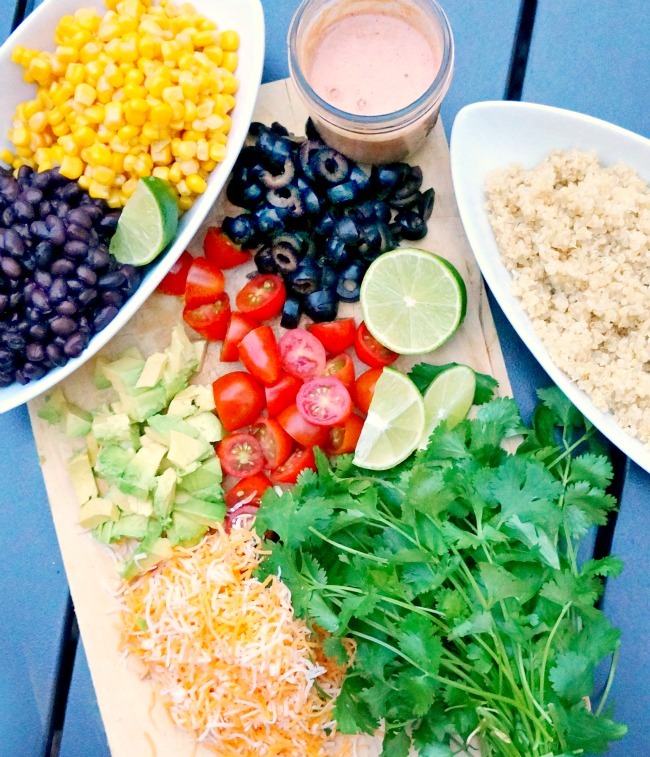 That’s why our easy vegetarian burrito bowl is best served family style. 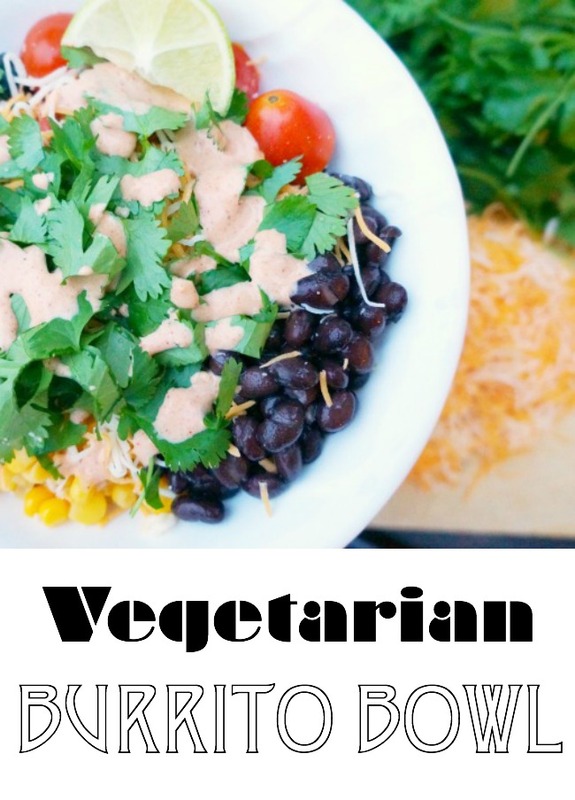 I prefer serving our vegetarian burrito bowl family style because even though we all eat veggies, not everyone likes the same ones, and I’m not about to start taking special orders. So I lay everything out along with bowls and spoons and have them go at it. 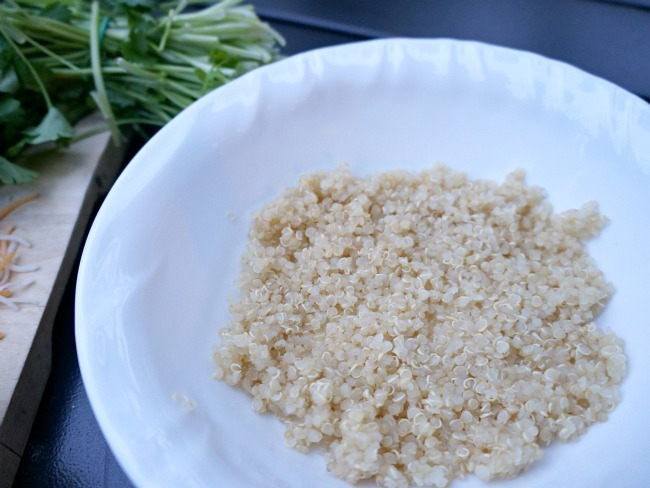 Prepping for this lunch or dinner is easy for our family of four, and the kids can get involved by draining the canned goods or making the dressing. 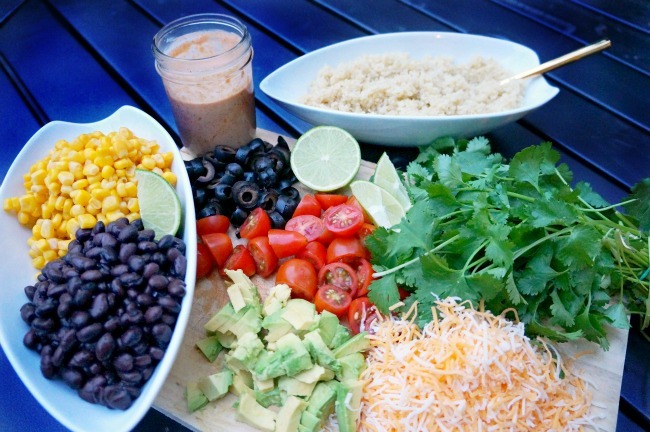 To make the dressing, add the juice from the olives and beans into a mason jar. Add the mayo and the taco seasoning. Cover the mason jar and shake until everything is blended together. Gently shake again right before topping the burrito bowl. 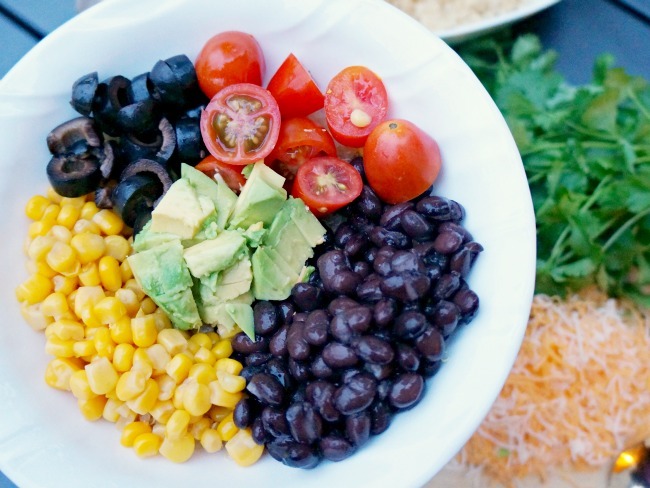 Layer the burrito bowl by adding quinoa at the bottom of the bowl then add the beans, corn, avocado, tomato and olives in clusters. Top with cilantro and cheese. Add dressing according to taste. Serve with a slice of lime. Tip: It also makes for a great layered salad if you set it on romaine lettuce in a triffle bowl. 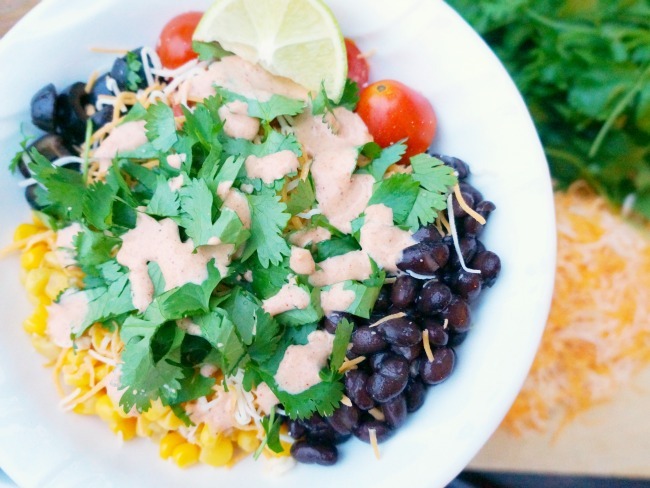 We love our burrito bowls because of their convenience, their nutritional value, and because each serving can be customized to each person’s taste. They’re also budget-friendly! One can easily make this meal for under $15. 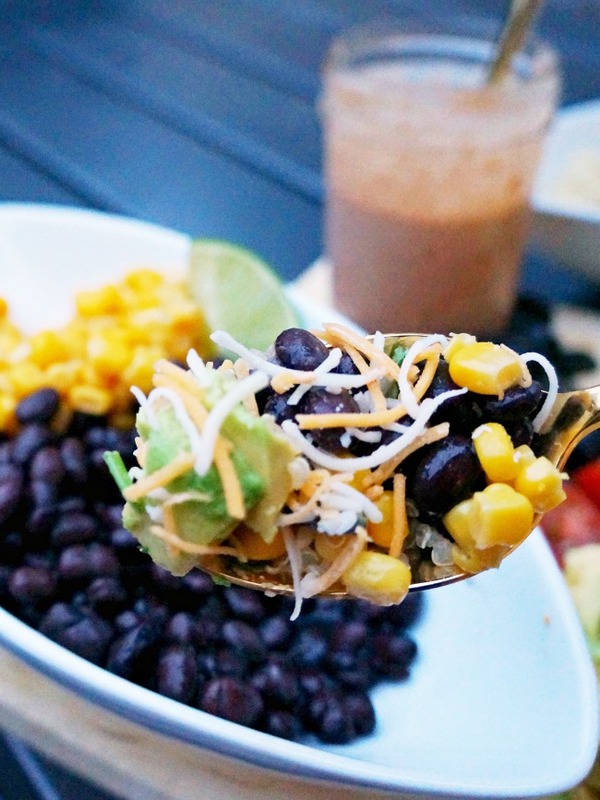 Do you have a favorite burrito bowl combo? Let us know in the comments below.